It isn’t unusual for me to drive through my old neighborhood where I grew up in North Oakland. Whenever I do I always drive pass or near the house where I, my parents, and my four siblings spent our lives together—like any other normal African American family growing up in an urban community—just to see if the house on Dover Street is still there. There is something special about wanting to go back to places we remember and where we grew up. It could be a school, church, or the last place we worked. It has been said that “When the stories behind our local streets and landmarks are told they can give us a glimpse into the history on our doorstep” (English Heritage). These places become sites of memory. Much of the formation of my life took place, here, on Dover Street. Why do I feel a need or want to drive pass this house? My parents purchased it in 1960 to be near the church where my father was the pastor. We were one of many African American families who left West Oakland and moved to North Oakland during the Civil Rights era of the 60’s. (Our church relocated into North Oakland during the same period.) I past the house on numerous occasions, but I hadn’t been inside in 28 years since my parents passed away. On this particular day, however, I noticed a “For Sale” sign in the front yard. I mentioned it to a friend who suggested that I consider buying it or at least schedule an appointment to look at it. My first response was I had no interest in buying or looking at the house, but because I made reference to it so often in my conversations and sermons, my friend took the initiative to schedule an appointment for me. She was curious to see where “my pastor” grew up. On the day of the appointment, I had actually forgotten that I was supposed to meet the realtor and my friend at our house on Dover Street. Before moving there, my family lived in West Oakland years before I was born. Our family has a long history in Oakland and West Oakland in particular. Both of these homes hold wonderful and happy memories for me. 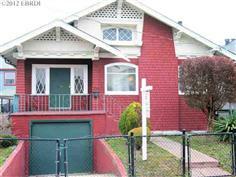 However, the house in North Oakland was the home of my transition into adulthood. I graduated from high school, went to college, and I received my appointment to pastor my father’s church while my parents were still living in this house. My father was kidnapped at gunpoint from this house. My first trip to Africa was planned at the dining table in this house. My father and mother saw their final days on this earth while living on Dover Street. He literally passed away in his bed one warm summer day in July 1984. I had many life-changing experiences while living on Dover Street, too many for me to mention here. However, there is one experience I will forever remember. I was only 12 at the time. It was in my father’s bedroom on a Sunday evening before service (that’s when churches had regular Sunday evening worship services). My father was getting dressed, tying his tie, and bathing in Old English Leather cologne. While writing this, I can still smell the fragrance in the air. I knelt beside his bed, watching him go through the transformation from my father to pastor. He turned and looked down at me with a serious expression on his face. I was 12, and it wasn’t unusual for me to get in trouble for something mischievous. There was something different about his expression though. It wasn’t the look of someone who was about to scold or punish me, or that I had done something wrong. It was a genuine look of a loving father with a deep spiritual concern for his son. His voice was almost lyrical. It was filled with compassion, love, and sincerity. He said, “Son, don’t you think it’s time for you to think about giving your life to Christ?” His love pierced my heart. It wasn’t long afterwards that I opened my heart to Jesus Christ and invited Him into my life. I’ve never looked back with regret. I must admit I was a little curious to see how the house held up over the years. When I drove up and parked in front of the Craftsman architectural designed shingle composition home (built in 1912), memories came flooding in like a broken dam filled with a reservoir full of water. The color hadn’t changed in over 28 years. An ugly black chain linked fence had been placed around the house. The main front door had been moved making the entry seemed awkward to me. Very little in the interior had been changed; however, there was a lot of work that needed to be done to restore the house back to its original beauty. Each room I entered was like being thrown back into time. Stories projected themselves onto a mental screen that played scenes from my past. Images, sounds, and silhouettes of people who once occupied this house danced and moved across space and time in my mind. I could literally hear the voices of my siblings in each room. The kitchen smelled with food where my mother prepared dinner for us, our extended family, and welcomed guests into our home. My bedroom seemed small now. Walking into my father’s room was painful. When I last saw him here, he had gone home to be with the Savior. Barber, Margaret Fairless. The Roadmender: -1913. Cornell University Library, 2009.